Ok, I hold my hands up! 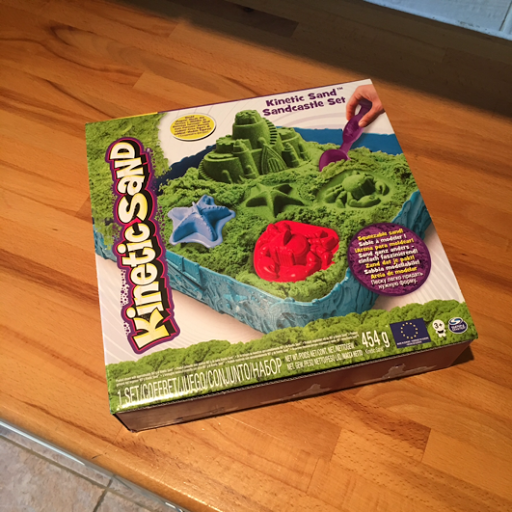 I'd heard of Kinetic sand but had never seen it and in all honesty I thought it was a bit of a gimmick! T had put it on his Christmas list so when we were given the chance to review, I didn't even ask him, I knew he'd want to. 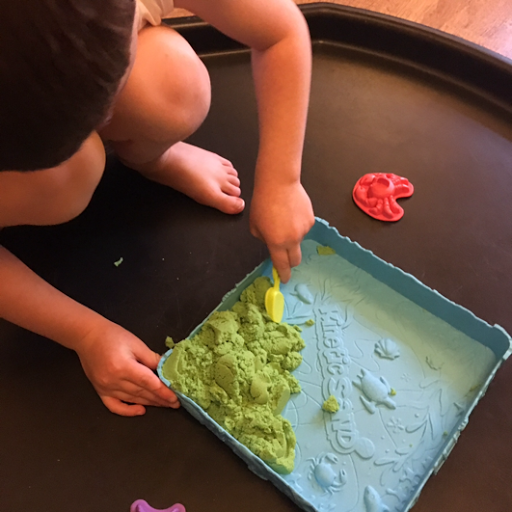 We were sent the kinetic sand sandcastle set which contains, 3 moulds, a double ended tool, a play tray and a bag of kinetic sand. 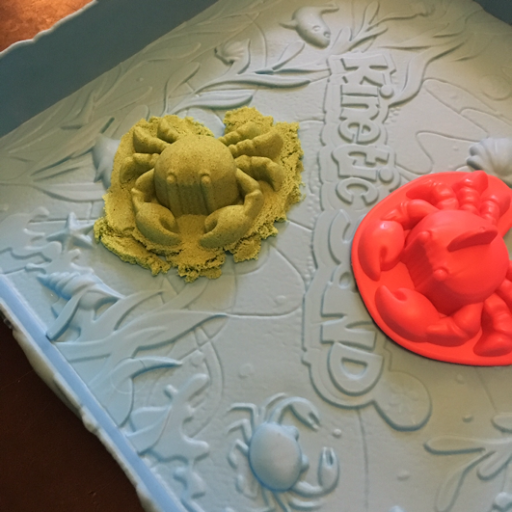 Let me just add here that the photo on the box suggests that there's enough sand to fill the tray and to have enough left to use the moulds, in reality, you'd need another 454g bag of kinetic sand to do this - not really a proble, just something I think is worth pointing out. 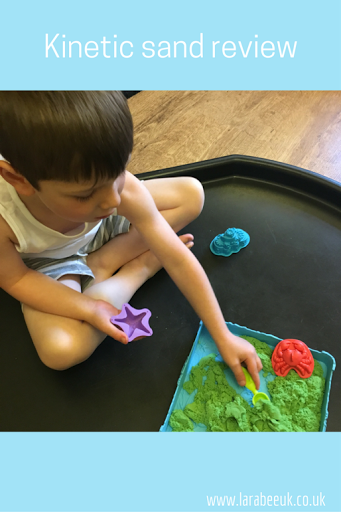 The texture of this sand is amazing, it just doesn't feel anything like sand, it's absolutely amazing, T delighted in showing me how you can create a ball that 'can actually bounce'. 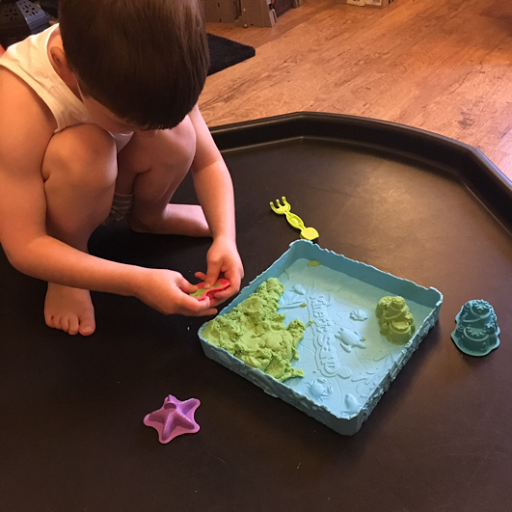 He has quite literally spent hours playing with this set, I'm amazed by how occupied he was with it, adding his play doh tools to extend his play. I've made sure that Father Christmas gets the message to get some more as I know he had his eye on the glow in the dark sand! Decided to 'smooch' it with his feet! 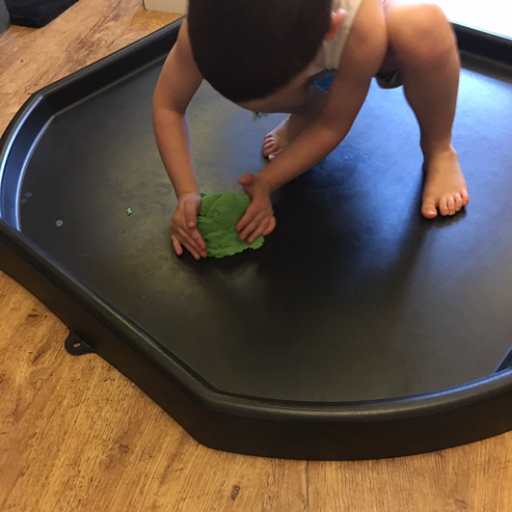 'This feels so funny, Mummy' he kept saying trying to encourage me to have a go (I didn't!) 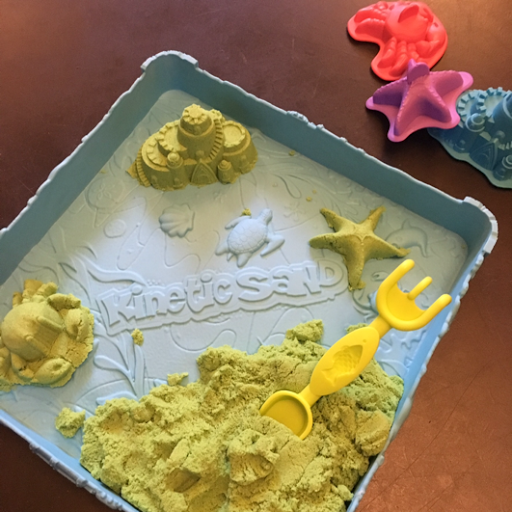 overall kinetic sand got the big thumbs up from us, I cannot believe we've not tried it before. 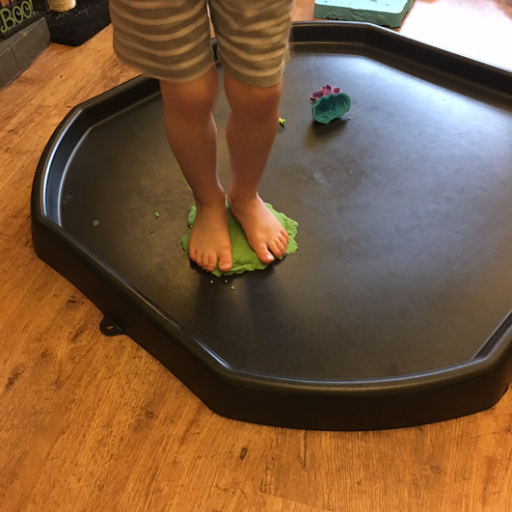 It can be purchased at all the toy stores and on Amazon, this kit retails for £19.99 and is from age 3+.